Wendy Hinman Joins the 50+ authors, at the Search for Meaning Book Festival at Seattle University, an annual festival and nationwide network surrounding the human search for meaning. It’s easy to continue through our days following other people’s priorities, but whose life is it anyway? Wendy Hinman, author of the hit travel book, Tightwads on the Loose (2012), will share how her search for a more satisfying life led her from successful business woman and entrepreneur to sailing 34,000 miles aboard a 31-foot sailboat and loving it despite facing many “character-building opportunities.” Through these opportunities she realized that often the biggest challenges are the most rewarding, and are what make us feel most alive. 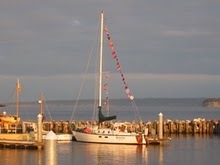 She learned firsthand that we rarely know what we are capable of until we push ourselves well beyond our comfort zone. Though she’s lived without what many would consider “necessities,” Hinman has discovered a sense of humor is mandatory. While we sometimes can’t change our circumstances, we can change how we respond to them and thereby transform our lives in the process. Hinman will share how her experiences shaped a philosophy that guides her life and can offer perspective on yours. 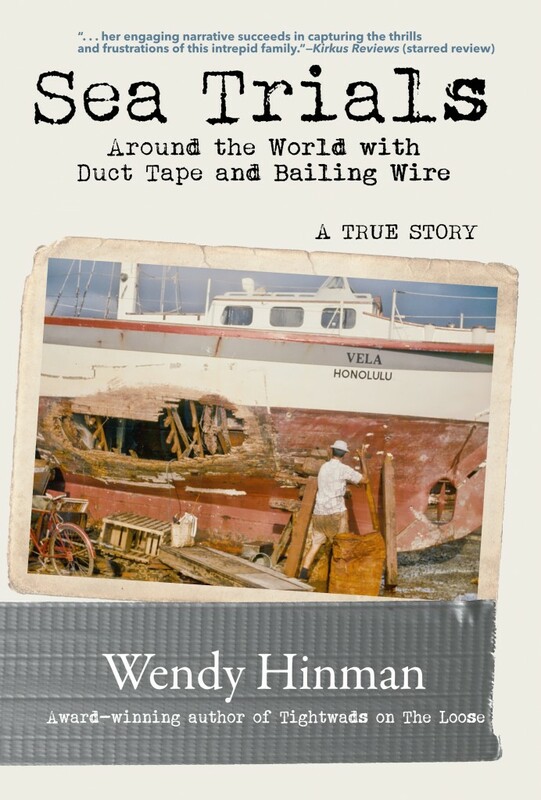 Biography: Wendy Hinman is the author of the hit travel book Tightwads on the Loose: A Seven-Year Pacific Odyssey. A successful business woman and entrepreneur with an insatiable curiosity and zest for life, Hinman has never been willing to settle for the usual. A quest for adventure took her on a seven-year Pacific odyssey aboard a 31-foot boat with her husband during which she faced endless “character-building opportunities.” Yet she fell in love with voyaging so much she hardly wanted to return, despite the fact that her husband could barely stand inside their tiny boat and, in stormy conditions, it occasionally turned into their own private torture chamber. 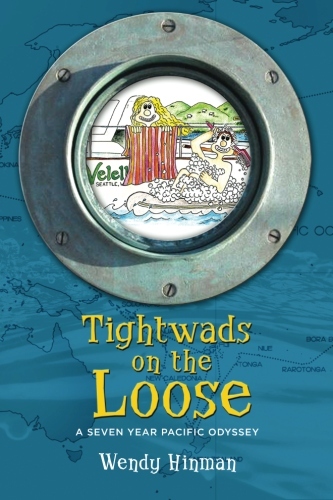 Fortunately, she did return to share a humorous take on their adventures afloat and perspective on life in her book, Tightwads on the Loose. Hinman is an inspiring speaker, who offers refreshing philosophy and insight on following our dreams wherever they may lead. More information can be found at www.wendyhinman.com. This entry was posted in Events, Follow your Dreams, Uncategorized and tagged Search for meaning. Bookmark the permalink.